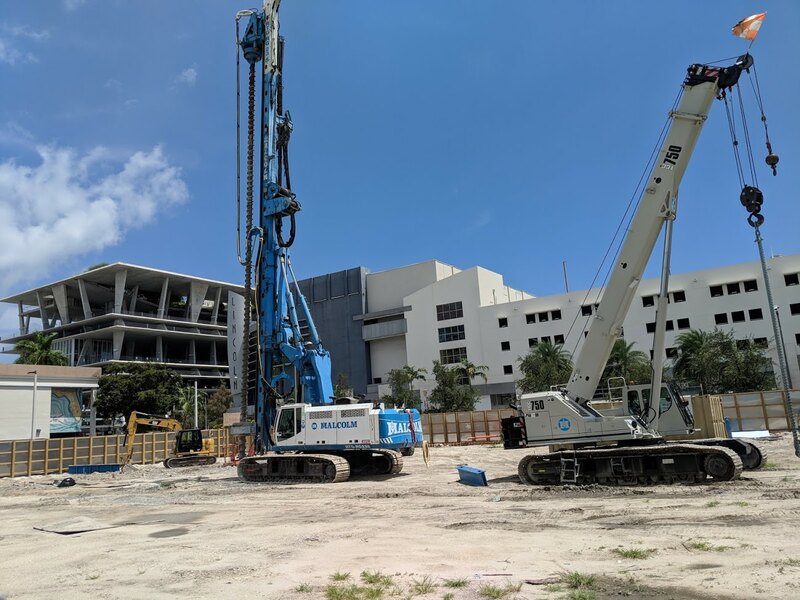 Construction is underway at 1212 Lincoln in South Beach. The first phase will include a multi-level parking garage, along with retail, and a new Wells Fargo bank on the ground floor. 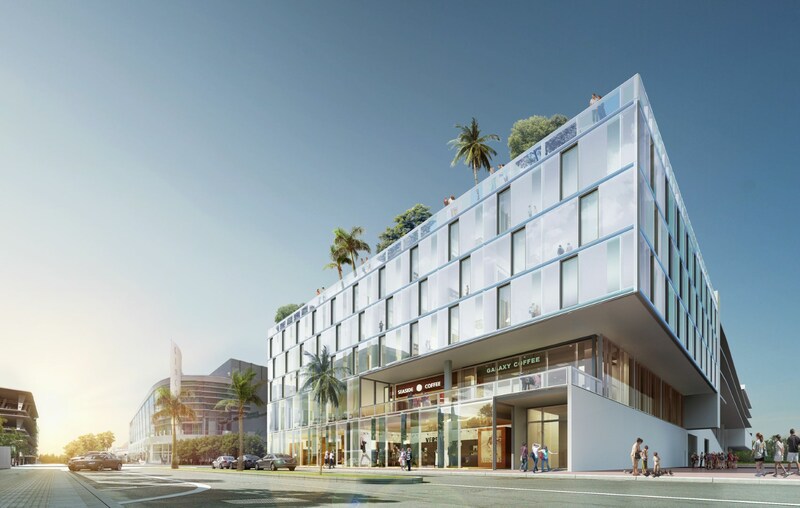 Wells Fargo’s existing branch on the corner of Alton Road and Lincoln Road will be demolished once the new branch opens, allowing the second phase to proceed. 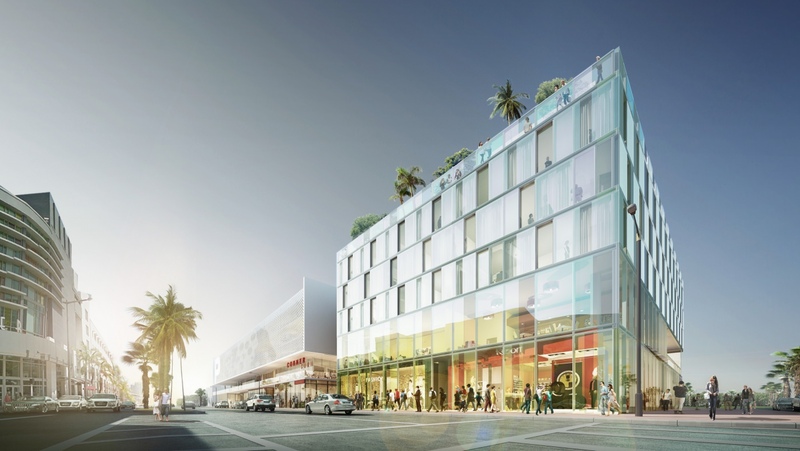 It will include additional retail, along with a 50-room CitizenM Hotel, according to documents submitted to the city of Miami Beach last year. In total, around 70,000 square feet of retail along with over 400 parking spaces will be built, according to the website of developer Crescent Heights. Perkins + Will is the architect. Crescent Heights is the developer. What’s going to happen to the historic Enzo Gallo mosaics on the Wells Fargo Building? This design is such a disappointment. The original design was very stately. This is ho-hum and could be anytown, usa. And another 400 spots to Miami Beach, which desperately needs a rail link to the mainland. There are over 1000 spots under construction on this short stretch of Alton Road. No leadership from current administration. you guys are always complaining, i’m wondering, what are you do, just complaining for fun? The original design had a cool digital media facade that was going to show art and cultural content with no advertising. This was going to be a beacon into the district. Why was that eliminated when it was voted upon favorably by the MB City Commission? Seems the entire design has been watered down.